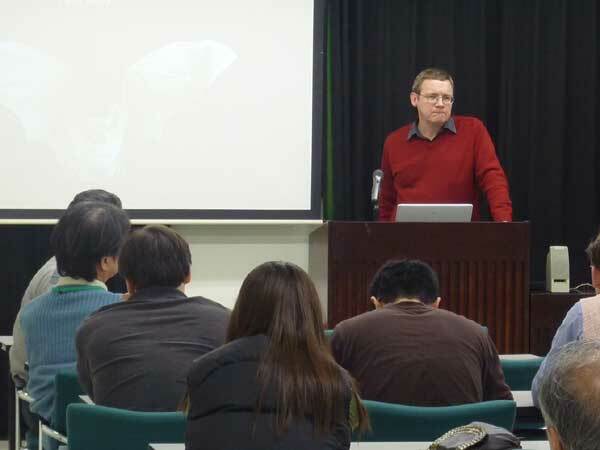 Dr. David Hill (University of Sussex, U.K.) held a seminar in Primate Research Institute (PRI). Dr. David Hill visited PRI and performed "From monkeys to bats: discovering common ground". After a long period of field research on the behaviour, ecology and conservation of macaques, the main focus of my work switched to microchiropteran bats. The initial motivation was to examine the effects of habitat disturbance on bats in warm temperate rain forest in Yakushima. As with primates, many species of bat face a growing threat of extinction, with loss and degradation of their habitats being a principal causal factor. For most bat species, the lack of basic information on their ecology or behaviour hinders any efforts to promote their conservation. One reason for this lack of data is that bats are difficult animals to study, as they are nocturnally active, most species remain hidden during the day and they are difficult to catch. We developed a novel technique that enhances our ability to capture bats, and so greatly increases the potential for surveying and studying them in the field. 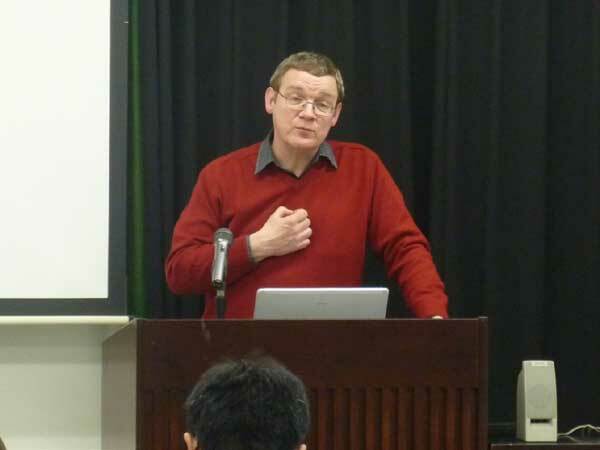 I will discuss ways that we have applied this technique to address issues in bat conservation, and to study aspects of their ecology and behaviour in England and Japan. I will conclude by considering another potential application that would reveal whether foraging within groups of woodland bats is primarily cooperative, or competitive. Ultimately, it should be possible to assess whether dominance relationships exist between female bats and whether these are influenced by concentration of food resources, as they are in female macaques.